Education Child: How to Choose Preschool for Your Child? How to Choose Preschool for Your Child? Little Anuj has just turned two and his parents are already on the lookout for suitable preschools in Delhi. Getting a good preschool for your child is not less than a herculean task. Parents look at many factors while zeroing down on a particular school. Quality preschool education: At this stage stress shouldn't be on the academic skills but on building up whole personality of the child in his growing years. Essentially preschools need to focus on teaching basic social skills to the child in a group setting and also teach him discipline by having a structured routine like beginning of the day with morning songs, then storytelling, outdoor playtime, art, music and dance etc. Along with this, it is important for a preschool to have qualified and educated teaching staff. An experience and degree in early childhood education is must. Safety of your child: Safety is a big issue. It is vital for parents to figure-out, how secure their child is in the school? Will he be looked after well? A school needs to take many precautions for the child's safety, for example- mustn't allow any unknown person to enter into the premises. Also, school must be located in the safe locality and care must be taken to keep gates and doors locked of the play area in the outdoors. A preschool in the vicinity is convenient: Sending your child to a school, which is near to the home, is considerably safe. Parents may face difficulty in sending their kids to a school which is far away from the home. Your child leaves home later in the morning and comes home early, spends less time in commuting, which is very convenient. 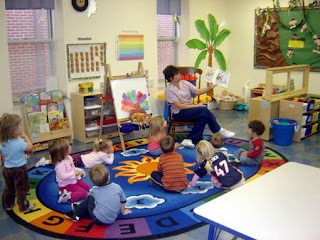 Activities in the school: Activities in the preschool is important part of any preschool. Certain activities are essential for child's growth. There must be array of activities that hdlp in development of every aspect of the child. More the exposure better is the development of the kid. Environment plays a crucial role: Hunting for best preschools in your region is not an easy task. School's environment lends a big hand in the enhancing child's social skills. A friendly environment is good that doesn't put much pressure on the child and encourages them to learn and interact. Coming to the preschool is a big transition in the child's life. Therefore, it is important for him to have really comfortable environment. Preschool exposes child to early social situation with their peers and in addition prepares for child to adjust in the school setting at an early age. 8 Guidelines To Get ready Your Kid For The First Day Of The School!